ANDERSON Construction knows cGMP Validated Pharmaceutical Manufacturing Facilities projects! 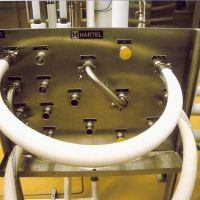 As one of our specialties we have constructed a large amount of Pharmaceutical Manufacturing Facilities and therefore have a firm experience in this specialist field with major clients. Innozen Corporation, 2500 SF Manufacturing Facility, Oxnard, CA. Design Build. Invitrogen CISH Quality Control Lab Remodel, Camarillo, CA. Design Build. Invitrogen Luminex Production Lab Remodel, Camarillo, CA. Design Build. Invitrogen Balling and Packaging Production Lab Remodel, Camarillo, CA. Design Build. Amgen Building 6 Biological Sample Management Freezer Farm, Thousand Oaks, CA. Design Build. Amgen Building 6 9000 Gal Liquid Nitrogen Tank & Cryogenic System, Thousand Oaks, CA. Design Build. Amgen Building 6 1000KW Backup Generator & UPS System, Thousand Oaks, CA. Design Build. Amgen Building 4 Interstitial Catwalk, Structural & Fire Code Upgrades, Thousand Oaks, CA. Design Build. Amgen Building 18N Crack Repair and Seismic Upgrade, Thousand Oaks, CA. 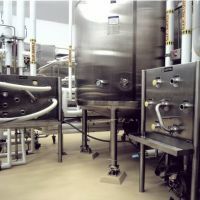 Gensia Laboratories, Filling, Component Prep, and Compounding Upgrades w/ Class 100,000 and 10,000 validated clean rooms. 20.000 SF, Irvine, CA 28 Day Schedule Design Build. Gensia Sicor Building 21 Sequus Compounding Addition, Class 10,000, validated clean room. 4000 SF Irvine, CA – 60 Day Schedule Design Build. Gensia Sicor , 480 volts, 4000 amp, 3 phase Electrical Upgrade for new Packaging Building. Irvine, CA – Design/Build.